Wondering where to find heat & sunshine on your vacation in January 2019? Our list of the best January vacation spots includes a one of our favorite cities in the Southwest, and a couple of very warm and exotic overseas locations. Since our online readership is world-wide, this list for the best places to holiday in January covers both North American and International romantic travel destinations. 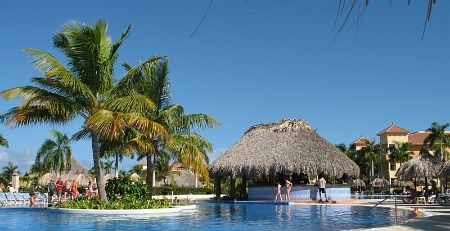 "The DR" boasts fantastic soft-sand (especially Punta Cana) and is easily one of the best beach vacations in January. And of course, the weather in the Dominican Republic in January is excellent. Although winter is high season in the Caribbean, the Dominican Republic has been booming with new resorts and comparatively good value for the dollar, like $659 4 Nights w/Air in a Punta Cana All-Inclusive. From North America and Europe, the Caribbean is pretty much a guaranteed January vacation hot spot. The warmest islands will generally be those in the southeast, like Barbados, St Lucia, Aruba and Trinidad. These are your best bets if you want heat and the beach. The rest of the Caribbean will still be of course dependably warm. For deals, have a look at Aruba - $989 5 nights Air & Hotel Tropicana Aruba. Bahamas - dry, with highs of about 78 F.
Los Angeles, CA - the "rainy season", meaning the occasional day of rain or a winter storm, but otherwise pleasant with highs in the mid 60's. Las Vegas, NV - mild days (highs of 57F), colder nights where it gets down to freezing. Miami, FL - South Florida weather in January is usually quite nice, with some clouds and temps in the high 60's F.
New Orleans, LA - quite pleasant daytime highs of 61 F with some clouds is the average for January in this part of coastal Louisiana. Orlando, FL - expect temps to be in the low 70's, mostly sunny skies with a healthy dose of humidity (it is Florida after all!). $649: Mayan Riviera 4 Nights w/Air - This Week's Hottest Caribbean Deals! 1. Acapulco - average daytime high temp: 88 F. Xmas & New Years Holidayers have gone home, so January's a very good time to book a getaway to Acapulco. 2. Cancun & Mayan Riviera - average daytime high temp: 81 F. Good time to be in the Yucatan and Cozumel. Feb to April is busier with Spring break crowds, etc. 3. Mazatlan - average daytime high temp: 81 F. Crowds lately have not been a problem here as tourism seems to be in somewhat of a low point. 4. Puerto Vallarta/Nuevo Vallarta - average daytime high temp: 84 F. Mid-January tends to be a little less crowded than earlier or later in the month. 5. Cabo San Lucas - average daytime high temp: 73 F. Cabo can be busy in January, although February at the resorts is usually more packed with people. 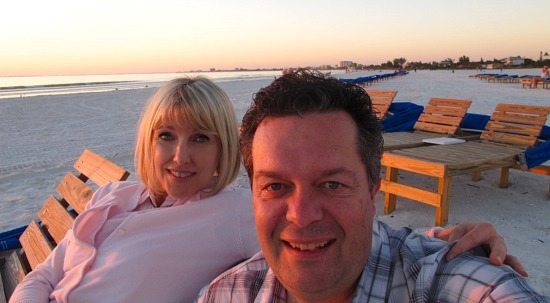 The beautiful Gulf Coast with it's fine sand and sunsets, especially Fort Myers, Sarasota and Naples. Key West, FL. Any further south than this, and you'll need a cruise ship or flight to the Caribbean! Andell Inn - just up the Atlantic coast into SC, enjoy some quiet romantic evenings at this boutique inn with villa-style suites. You won't be splashing and frolicking in the ocean, but January is a wonderful time to explore this nice little slice of South Carolina's Barrier Islands. This time of the winter means far fewer crowds and relaxed walks along the beach. If you want to head somewhere overseas where the weather is hot in January, think Buenos Aires! January is the height of summer in Argentina, being in the southern hemisphere. Buenos Aires January temperatures can be a little on the hot side (30 deg celcius), but that sends many from the city to the coastal holiday areas, and leaves Buenos Aires uncrowded, with affordable deals on Buenos Aires hotels. You'll think you're in Europe with all the wide boulevards with trendy bistros and cafes. Also be sure to check out some of the best steak restaurants in South America! Central Texas gets some very pleasant weather in January, with cool nights, warm days and little rain. 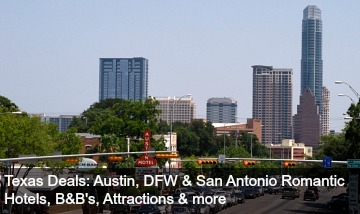 It's perfect for exploring all the charms of the state capital, Austin. The city has a nice mix of history, architecture, museums, hiking trails, shopping and nightlife. Some favorite things to do in Austin, Texas for couples: romantic dining in a Tex Mex restaurant, checking out some country music, and window shopping along South Congress Ave. Overall, Austin is a fun winter destination, and for those on a budget, an affordable January vacation. Another warm destination in January is Thailand. Bangkok weather in January is good, with less rain and not quite the intense heat felt in other months. However, we would recommend planning your January vacation to Bangkok after New Years week to avoid the crowds. The "Venice of the East" has many attractions and historical sites, including the Grand Palace, the amazing Floating Markets, Chinatown and shopping galore. Flying time to Bangkok: From New York 17 hours, from Los Angeles 20 hours, from London 12 hours.